Anderson First Win, Where's Byrd? It was a night of “firsts” in each of the three 50 lap features of the NASCAR Dodge Weekly Racing Series program, presented by Havoline/C.L. Bryant, at Stockton’s 99 Speedway on Saturday night. Manteca’s #61, Guy Guibor, left, set the fast time in qualifying and drove to an easy victory in the dash, but defending track champion #5, Pete Anderson Jr. of Stockton got just the break he needed when the invert draw of four put him on the pole for the Western Late Model main. Anderson led the 11 car field to the green flag and never looked back, going wire-to-wire in a caution free race, to pick up his firstwin of the 2006 season and 13th of his career at Stockton. “I think we finally hit the setup just right. They are never too easy, but was one of the best I have ever had,” said Anderson after becoming the sixth different driver to win in seven races at the 99 this season. Ron Strmiska Jr., #90, started the race along side of Anderson, but was never able to mount a serious challenge for the lead and spent the final laps fending off a hard charging Pete Hernandez of Chicago, Illinois to hold on to second. Stockton’s Joey Stearns had his best run of the season by taking fourth and Guibor completed the top five. It was night to remember for Ripon’s #66, Mike Regelman, who not only won the first Grand American Modified race of his career, but did it on his 23rd birthday. “This is by far the best birthday I have ever had,” exclaimed Regelman afterward. Regelman got past Galt’s Jason Kerby on lap 15 and then spent the remaining 35 laps of the race deftly weaving his way through traffic all while warding off the repeated challenges of series points leader #10a, Jay Linstroth, of Citrus Heights, to earn the win. Modesto’s Mike Beeler, left, ended the Modified race in third for his best run of the season, Jason Philpot, #5, of Sacramento recovered from an early race spin to finish fourth and Jeff Stephens of Sacramento, #5a, rounded out the top five. While the Western Late Model and Grand American features were almost mistake free affairs, with only one caution being needed between the two, that was certainly not the case in the wild and woolly American Limited Stock Car 50 lap main where the yellow caution flag was unfurled on eight occasions for an array of spins, accidents and equipment problems. Lodi’s Jeff Ahl inherited the lead following a lap eight caution caused when Stockton drivers Ken Ratcliff and Chad Holman collided after #66, Ratcliff blew his engine. Ratcliff was done for the night while Holman’s crew somehow managed to get his badly damaged car back onto the track before the race resumed. Ahl's #31 car was strong and it looked as though he would capture his first win of the year until a mechanical failure did him in on lap 37, giving Matt Erickson of Ceres the lead. With just two laps to go and victory within his grasp, #42 Erickson spun on the backstraight when he got into the back of a lapped car. After getting sideways, he somehow managed to regroup and remain in the lead. Erickson survived the final green-white-checker without further incident to capture the first win of his career. Holman made an incredible comeback to finish second and Richard Harper, (right) of Stockton nabbed third. Mark Henslee of Lathrop, left, had a race most drivers can only dream about as he simply dominated the entire 25-lap Pro 4 Truck race for his third win of the season. Ron Robeck of Milpitas finished second and Bryan Hitchcock of Valley Springs completed the Truck podium. “My crew had the truck set up perfect. All I had to do was drive it. It just hooked up and went,” said Henslee. 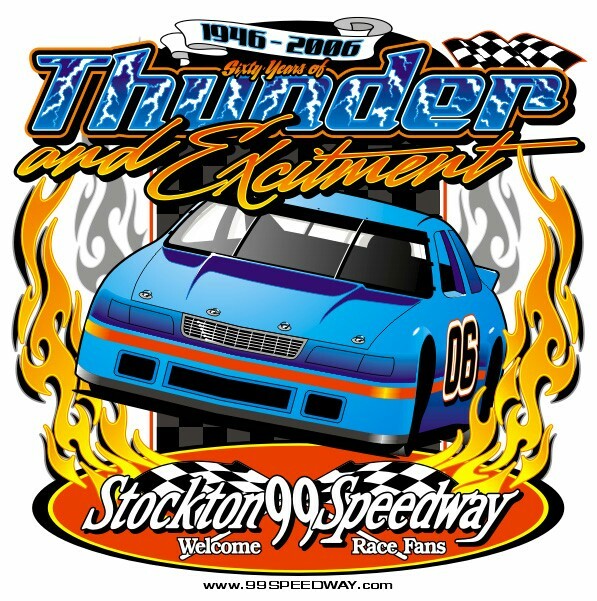 Next Saturday night (June 10) in Stockton the Havoline Western Late Models will be back for round #5 of the HOTWOOD 1000 Series by JM Environmental. Also on the program, presented by C.L. Bryant, will be the American Limited Stocks, Pro 4 Trucks, Baby Grands and Young Guns.